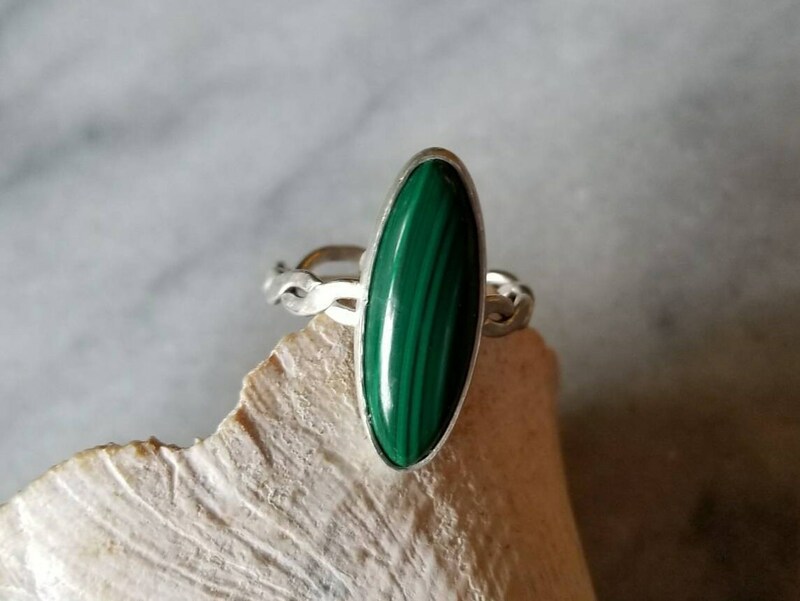 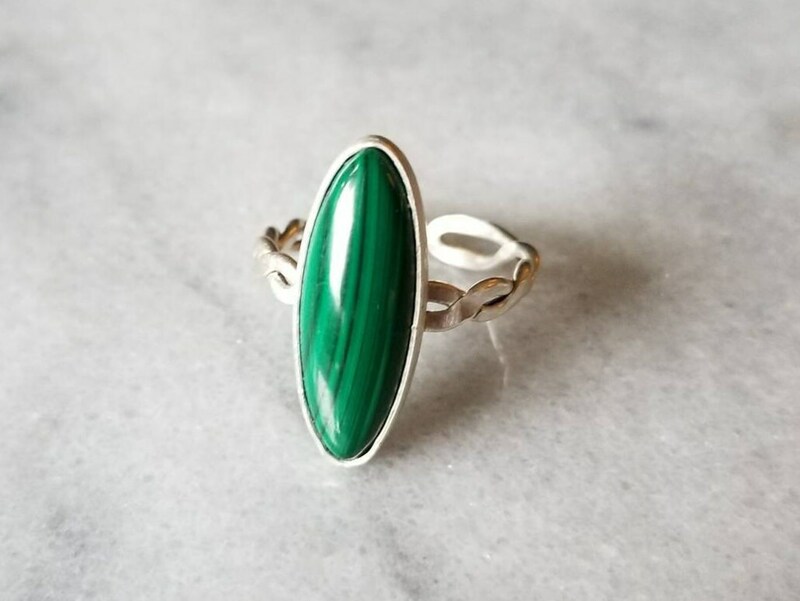 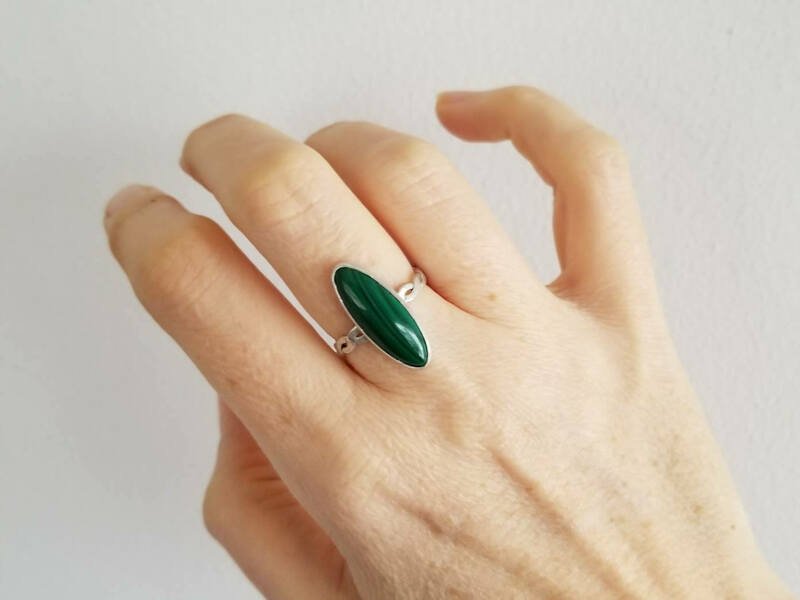 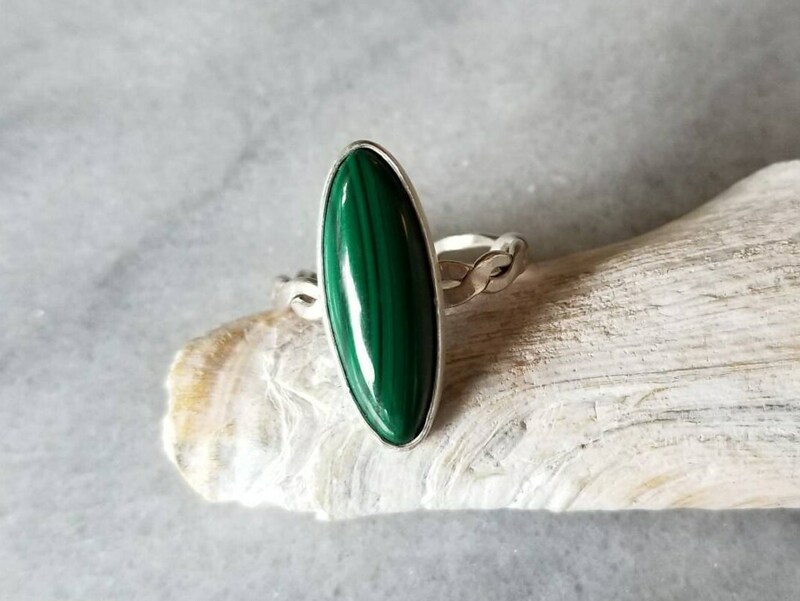 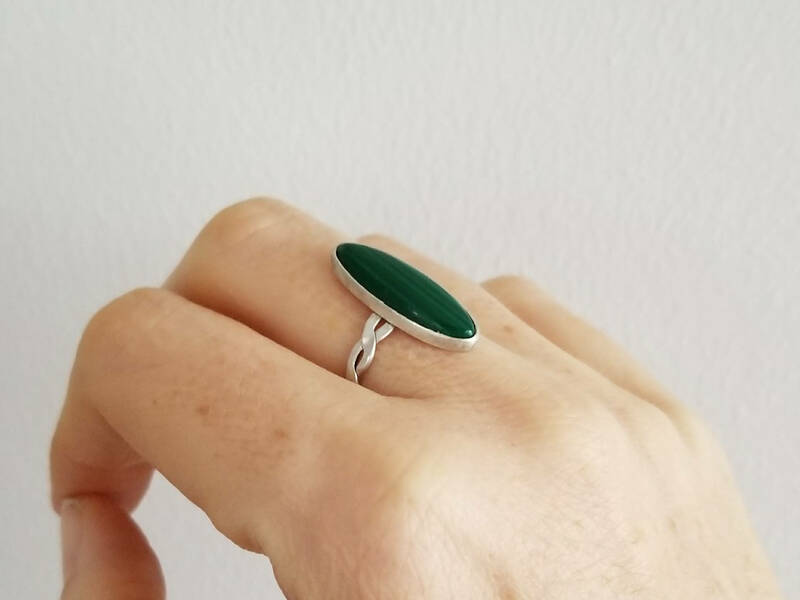 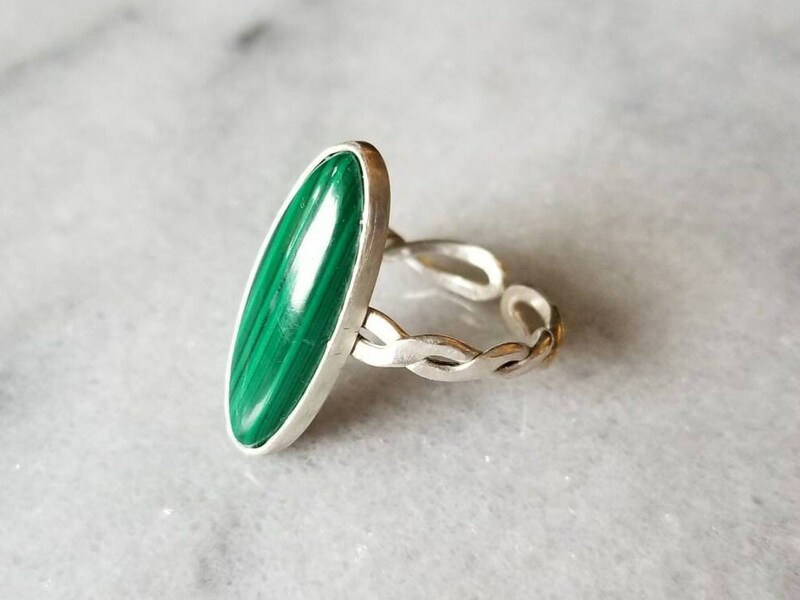 Sterling silver twisted double band malachite ring, size 8, open band ring. 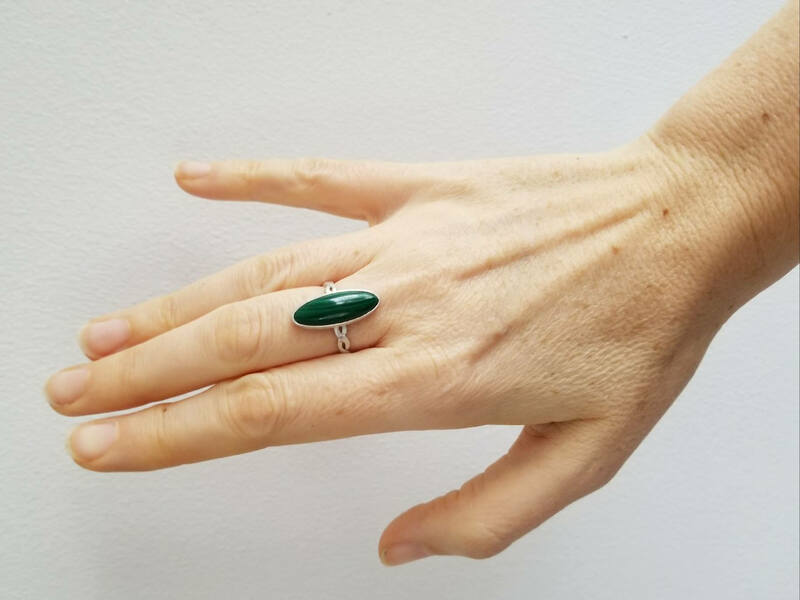 Hand forged hammered and polished to a delicate satin finish, the 1.5mm sterling silver double band holds a beautiful 8mm by 22mm vibrant green natural malachite. 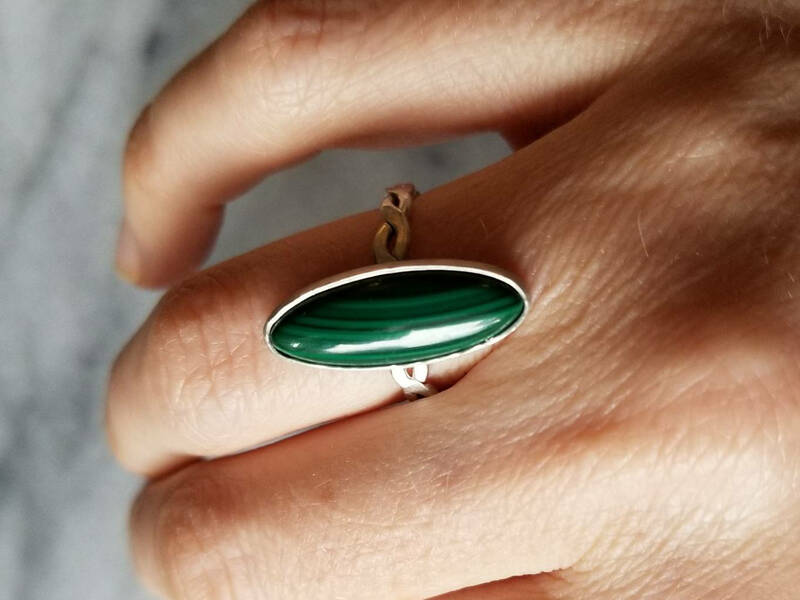 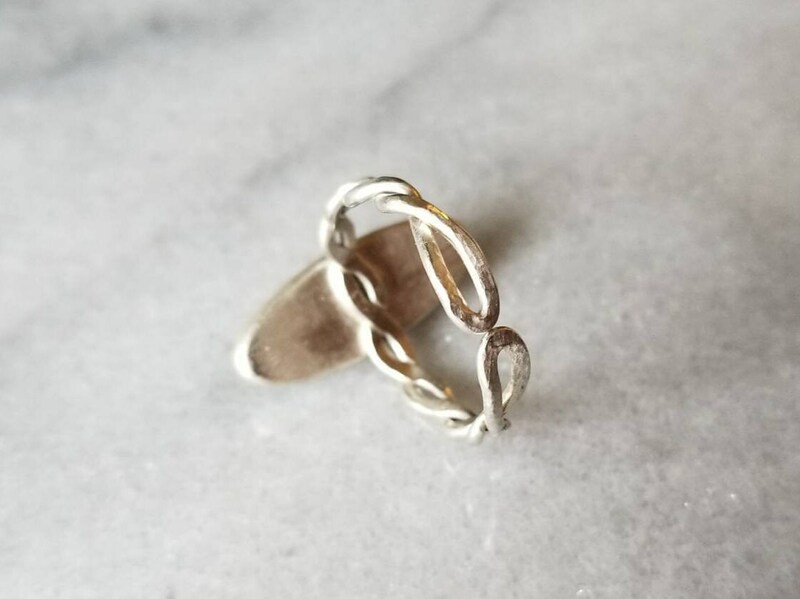 The ring is slightly adjustable due to the open back.